Kenworth’s legendary conventional cab – a strong and quiet environment unmatched in the industry for its craftsmanship, longevity and comfort – is part of the package. A low step-in height, fully-trimmed — doghouse-free — interior, advanced heating and cooling system and state-of-the-art control all combine to enhance productivity and reduce fatigue. No matter how many trucks you own, here is the reason your drivers will line up for the keys to the Kenworth. WORKING IN THE CITY SHOULD BE A WALK IN THE PARK. Another reason the K270 and K370 are destined to become urban leaders. For starters, entry and exit have been made safer, easier and less fatiguing. 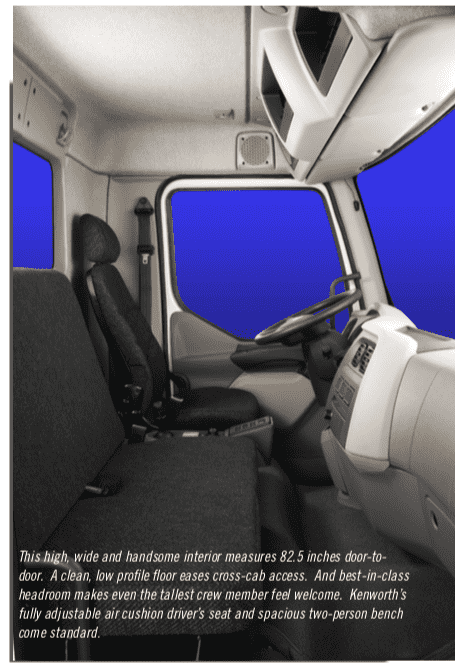 A spacious, quiet cab features the contemporary ergonomics and finish you’d expect to find only in fine automobiles. Gauges, switches and controls are easy to see and quick to reach. 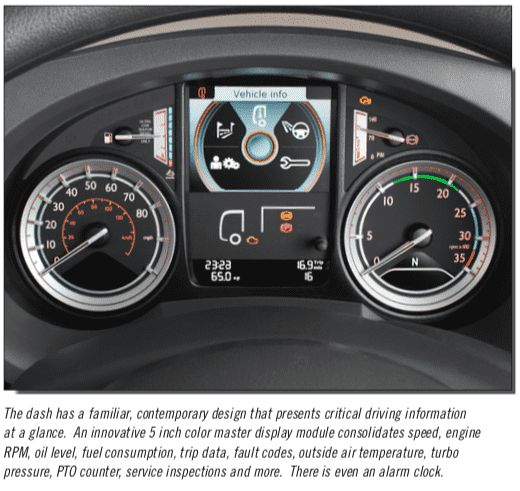 A high-tech master information module delivers real-time data at a glance. And shifting is push-button simple. Every detail thoughtfully engineered to keep the driver informed, in control and on schedule.